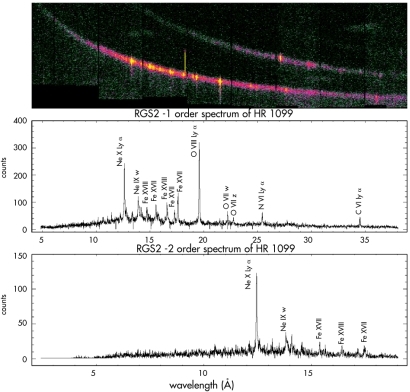 An RGS spectrum of the star HR1099. 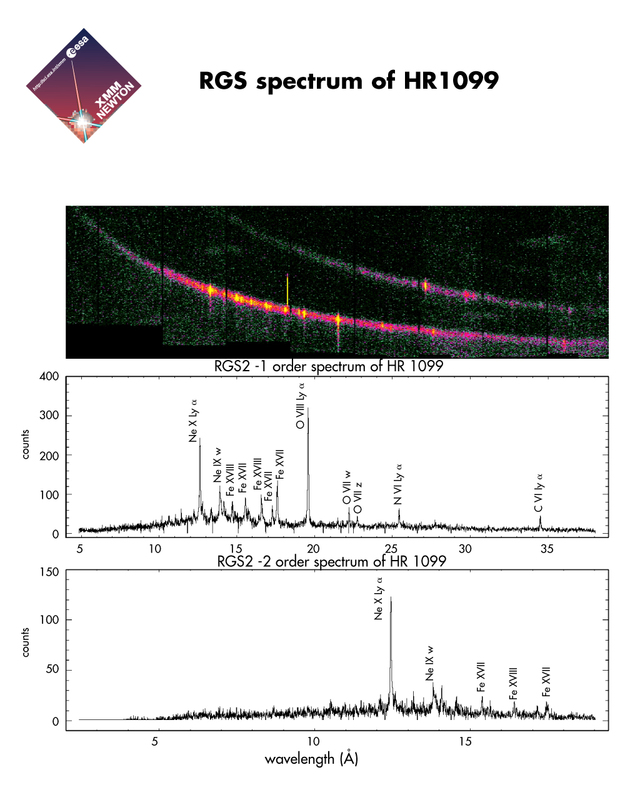 The spectrum illustrates the wealth of detail offered by analysis of data obtained by the RGS instrument. The top panel shows the detected X-ray photons plotted as a function of the position on the detector (strip of nine CCDs) along the horizontal axis and as a function of the energy of the photons, as determined by the CCDs along the vertical axis. Two bands can be seen, the bottom one which is the brightest is the first spectral order, the top one the second spectral order. The middle and lower plots show the each spectral order plotted as intensity against wavelength to reveal the individual elements present in the star.